Love this recipe. It is quick and easy to make and with very little preparation. I like to eat peppers cut in half or left whole with the seeds removed. Green, red, yellow, orange, doesn’t matter. I like them all. Though I have to admit my all time favorite pepper is a hot one. For me they are a great replacement for bread. I stuff them with all sorts of things. Cheese, pickles, meat but my favorite is with smoked salmon. That I could eat for breakfast, lunch and supper. Sometimes I get real fancy and add some cream cheese, laughing cow cheese, goat’s cheese well just about any kind of cheese. 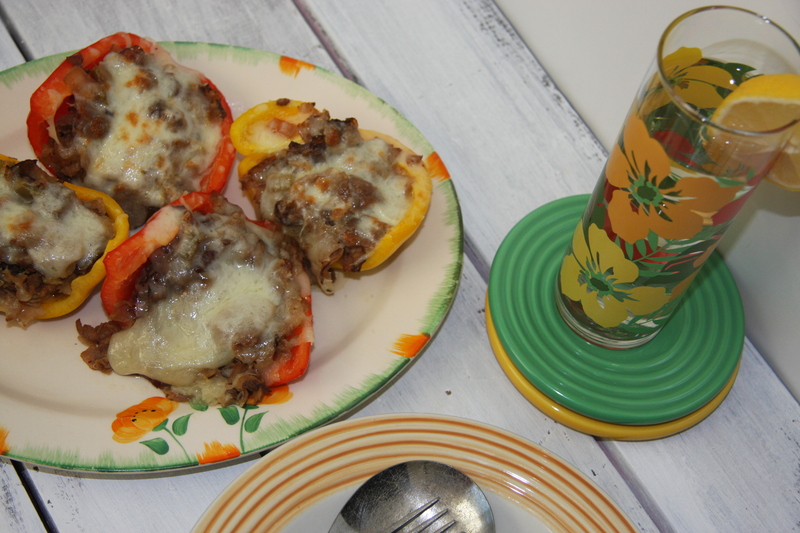 Having some roast beef in the freezer I decided to stuff some peppers with it, bake them and have them for supper. So here is what I came up with. 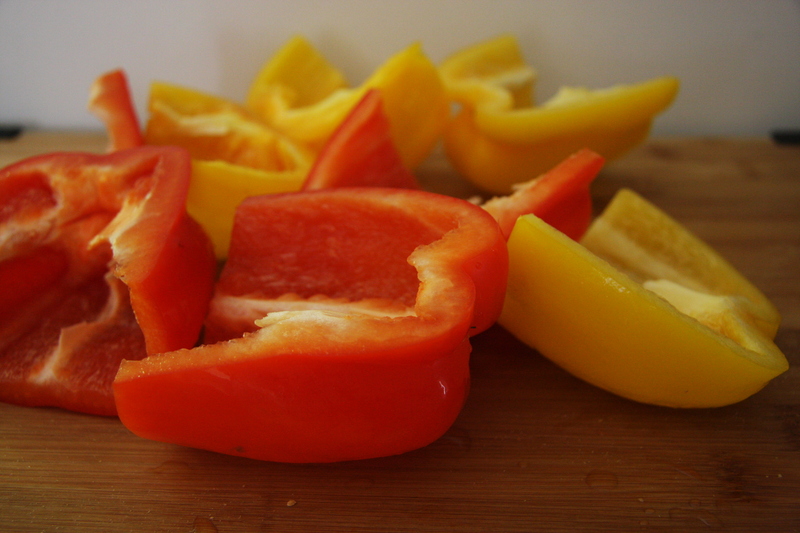 Clean out the seeds of yellow, red or green peppers and cut in half. 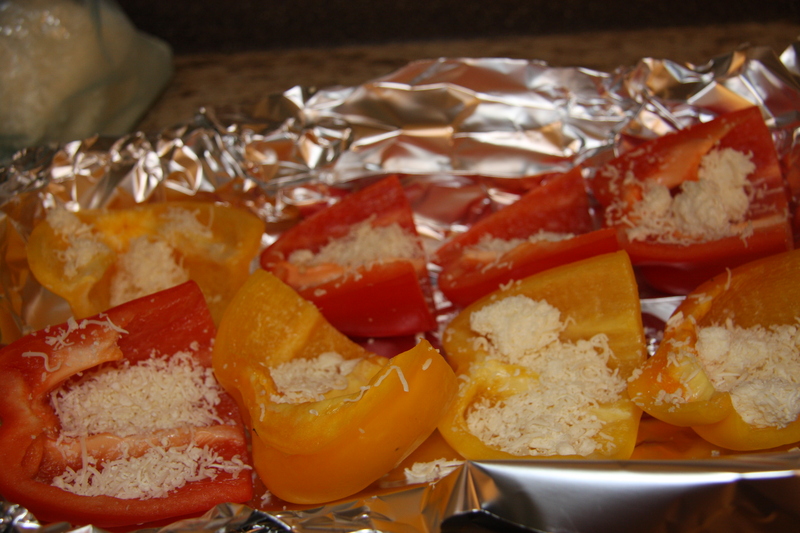 Place the peppers into a foil lined pan (for easy clean up) and place either sliced mozzarella cheese in them or as I have some grated mozzarella. Set aside. 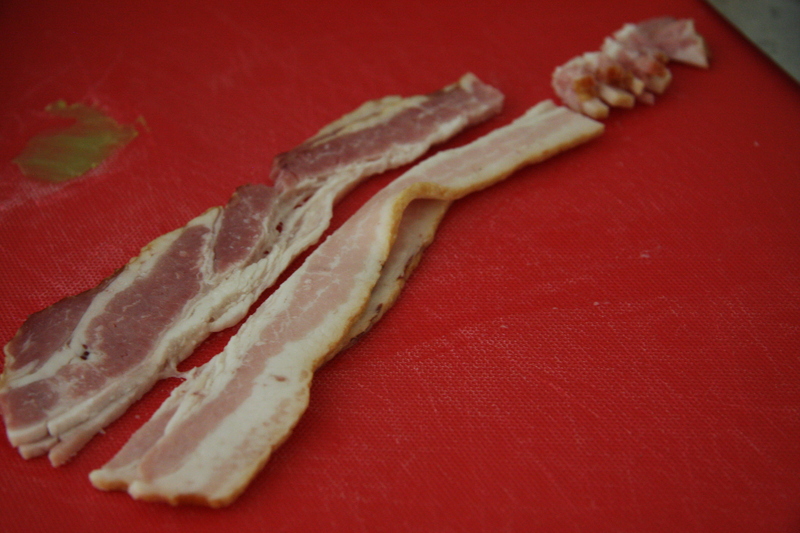 Chop 2 slices of smoked bacon into small pieces. Take 1 lb. 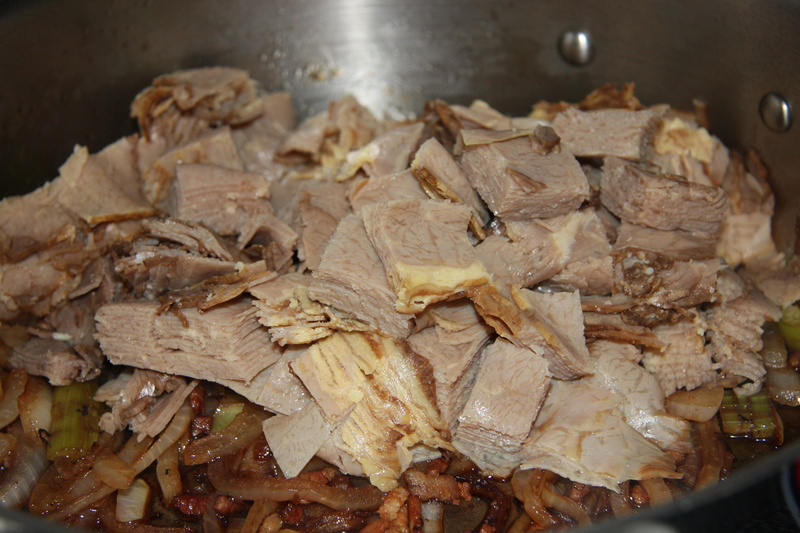 of thinly sliced roast beef and cut it into bite size pieces Into a pan add a couple glugs of olive oil and fry the onions, next adding the grated garlic clove, enough crushed chilies to taste and the chopped celery. Fry for a few minutes then add about 1/2 cup of red wine. Let the alcohol evaporate then give it a stir. Place enough to fill the peppers. Top with more cheese. 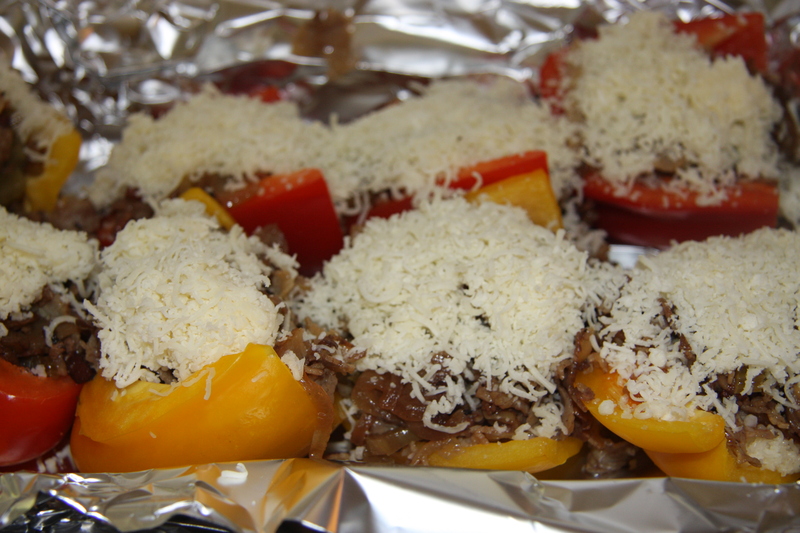 Cover and bake at 350 degrees for 40 minutes, To thoroughly heat the stuffing and cook the peppers to al dente. Place a couple of glugs of olive oil into a pan. 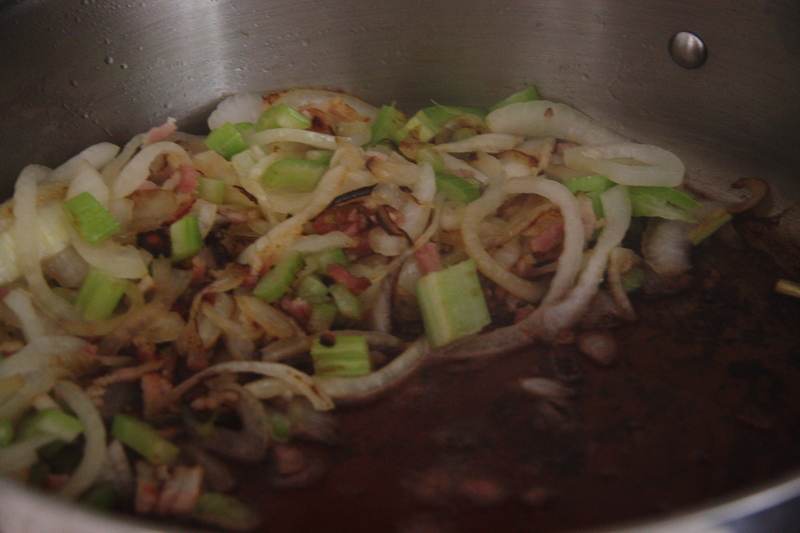 Fry the sliced onions until translucent then add the chopped bacon, fry until it starts to crisp a bit. Add 1 stick of celery and fry a couple of minutes. 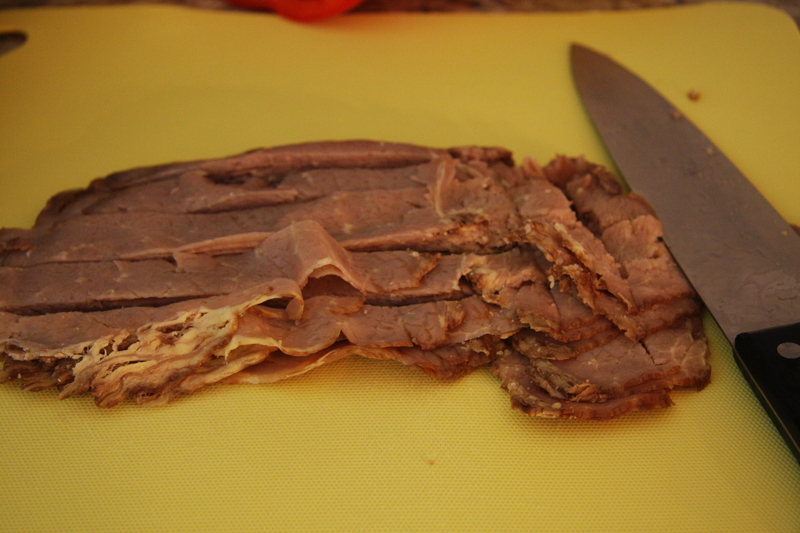 Add the thinly sliced roast beef and continue to cook until the beef is heated throughout. Slice the peppers in half. Place mozzarella cheese on the bottom then add some of the cooked roast beef mixture. Topping with more mozzarella. Repeat with the rest of the peppers and roast beef mixture. 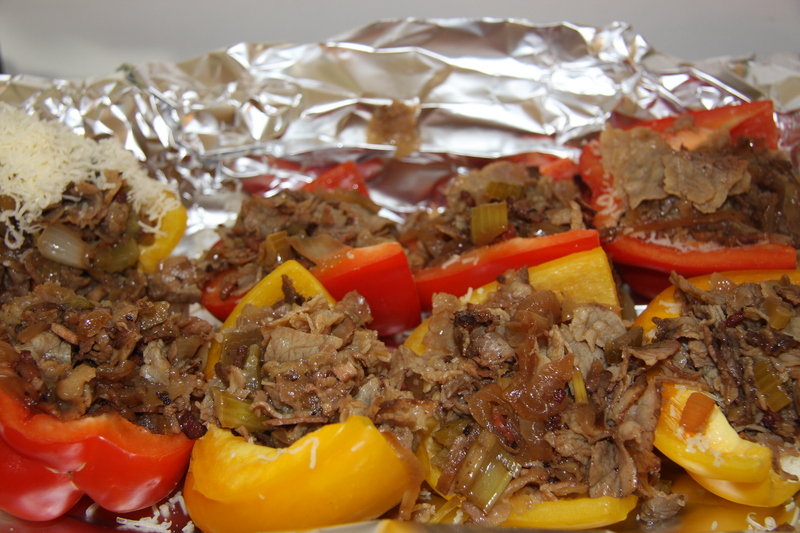 Place onto a foil lined pan and bake at 350 for 35 minutes.